Run faster by running less’ may sound an odd notion, but what if you could smash your marathon PB by chopping your mileage? RW’s injury-prone marathon veteran Kerry McCarthy gave it a go. See if this story sounds familiar: you sign up for a marathon and you tell yourself that this is going to be the year you nail that PB. You find the right training programme, refresh the kit drawer, alert the world on social media and start pounding the miles. The wheels are rolling smoothly down PB road – then, often without warning, injury strikes. Or work, or illness, or life in general. Suddenly, you have neither the time nor the fitness to achieve your goal and so another 26.2 is filed under ‘average’. If this is you, I feel your pain. Until late 2013 I’d run 35 marathons since taking up running in 2003, but had been stuck on my PB of 4:01 since number four, in 2006, with injury scuppering my progress on an infuriatingly regular basis. Cue the diminutive violins, right? But behind the whingeing lies a serious point. Marathon training is time-consuming and hard on your body. Not everyone has the necessary free time to train properly, and not everyone’s body can cope with pounding out all those miles. So you either set your sights on another distance (or take up another sport) or you find another way. 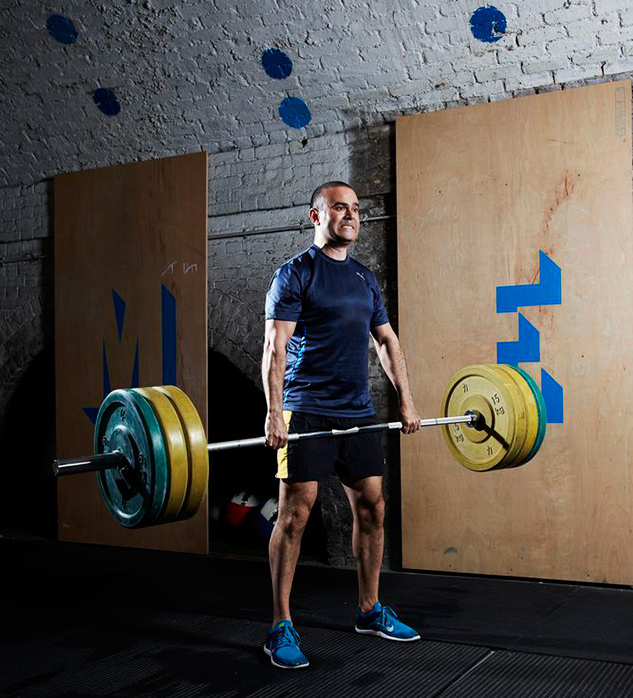 That’s precisely what led me to investigate the growing popularity of strength and conditioning programme CrossFit, and what I discovered is that there’s more than one way to prepare for a 26.2. 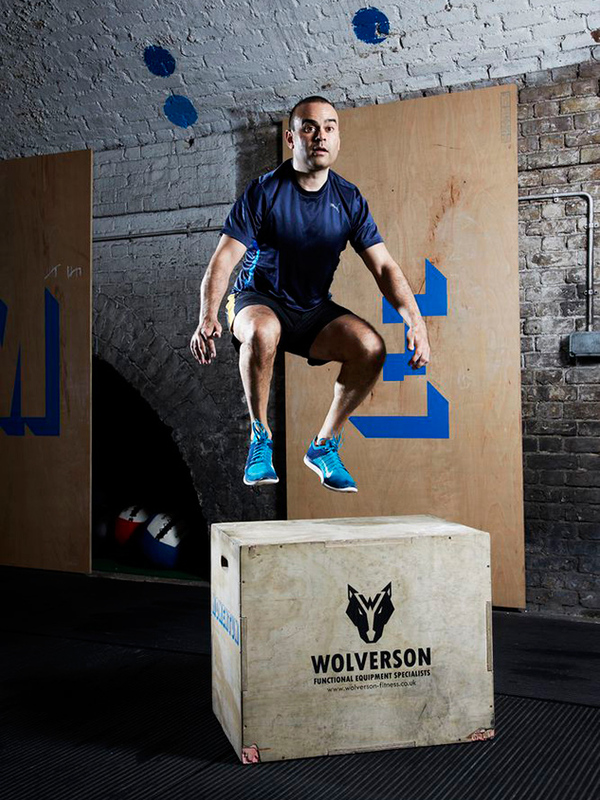 The CrossFit movement combines elements of cardio fitness training, weightlifting, gymnastics and core training, but puts them together to deliver a more intense workout designed to achieve better all-around fitness. 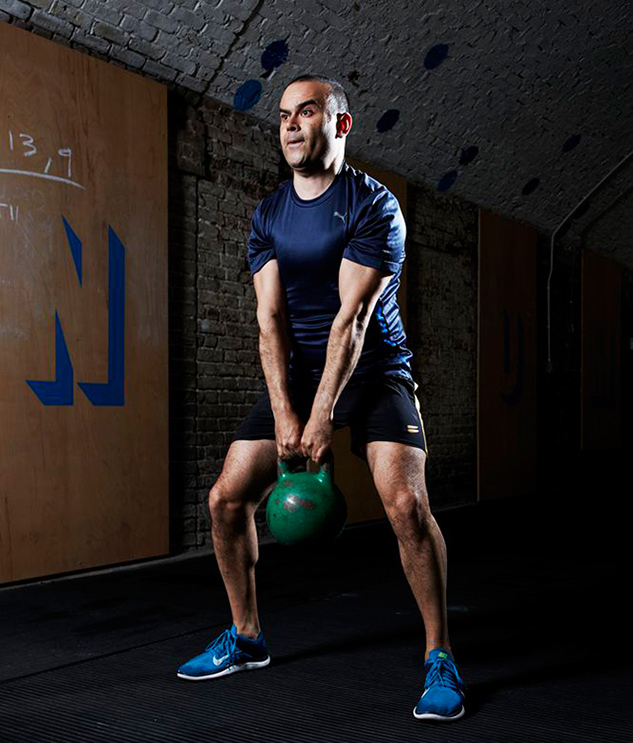 As my coach, Josh Schouten from CrossFit Hackney, explains, it’s ‘constantly varied, functional movement to high intensity’. In other words, you get more bang for your workout buck by spending 45-60 minutes doing an intense, all-body circuit session that leaves you a sweaty, spent mess on the gym floor, with every single muscle in your body aching and your lungs feeling as if somebody’s taken a match to them. That may sound even less appealing than a speedwork session at 6.30am on a January morning, but the potential results promised from such short sessions are what sold me. Especially since I was opting for CrossFit Endurance (CFE); this is an extension of CrossFit that, as the name suggests, has been tweaked to better suit endurance athletes of all kinds. 3/ Both of the above in half the hours I normally devote to marathon training. I could see how spending time in the gym would achieve the first goal, but numbers two and three just didn’t seem logical to me. I mean, rule number one in the runner’s handbook is that if you want to become a better runner you have to do more running, right? There’s some logic there but, like many marathoners, I’ve been well acquainted with the faster-paced world of speedwork and tempo runs for some time. Schouten develops his point: ‘Secondly, running is a whole-body exercise and yet most people only train their legs. What hurts when you finish a marathon? Your lungs or your legs? If you’ve been running for two years or more, your aerobic system is fine. Marathons aren’t run quickly enough for you to be struggling to breathe. Where you feel pain is in your muscles; they’re cramping and fatigue. What this means, explains Schouten, is that not only are you injury-proofing your body, but also you’re putting your muscles through a whole range of motion, spreading the workload equally instead of making a smaller part of your body do more of the work and letting a larger part do nothing. At my first CrossFit session, item one on the agenda was to get an idea of my existing capabilities. I started stretching my hamstrings in preparation for burning up the streets of east London in a display of running shock and awe, but Schouten merely asked me to do a squat. Easy enough. Or so I thought. But his quickly smothered giggle suggested my squatting was not all it might be. A proper squat, I was informed, requires you to drop your bum lower than your knees, while you keep a straight back. My effort didn’t even get my thighs down to horizontal. Lunging proved no more successful. I stepped forward with one foot and immediately fell sideways, having to put my hand out to stop myself. Damn you, core of jelly, I thought. Over the next 15 minutes, I went through a series of jumps, twists, steps, and stretches. The results were woeful each time. ‘You’re a typical runner,’ Schouten told me. ‘All you’ve ever done is running and nothing else, and this is the result.’ But, I asked myself, does any of that matter? So what if I can’t get lower than shin height when I try to touch my toes? After all, I wasn’t aiming for the podium at the contortionist Olympics; I was after a PB in running, and nothing else. Also, even before CFE I included some gym work in my schedule – being a runner doesn’t mean you can’t put in some work on those guns, does it? This is not something you’ll necessarily see in the mirror, even if you’re having a sneaky peak at how those fancy new running tights fit back there. And the results of various tests I was put through didn’t paint a particularly pretty picture. My assessment highlighted some rather worrying issues and if, like me, you have an office job, the chances are you’ll have at least some of these, too. Long hours of sitting at a desk had switched off my glutes; my hip flexors had shortened and tightened through sitting hunched over a computer; my hamstrings were pitifully weak, so I was pushing forward with my dominant quads, rather than pulling back with my hamstrings on each step; and my back was tight, explaining why my shoulders tended to end up around my ears on long runs and why I’d suffered pain at the base of my spine. Put simply, my front had been bullying my back for far too long and it was time to do something about it. 1/ A chain is only as strong as its weakest link. Most endurance athletes have no change of power. We have one gear: long and slow. This is a weak link. 2/ Gym work should be about range of motion. Forget the amount you can lift or the speed at which you can do it. The worst condition a muscle can be in is short and weak. For example, when you’re sitting down your hamstrings switch off because they’re not being used. The body takes up the slack and shortens the muscle. If you’re not lengthening them on a regular basis and putting them through a full range of motion, your power will be lower and you’ll be a less efficient runner. Check out these exercises to make the most of your range of motion. 3/ You need to train all three energy systems the body uses to run: ATP (adenosine triphosphate), anaerobic and aerobic. Put simply, each of these systems produces different chemical compounds that transfer energy to your muscles under different circumstances. If you’re sprinting, for example, your body will produce the compound ATP, which will feed energy to your fast-twitch muscle fibers. If you don’t train your body to utilize this system your body will stay in the aerobic zone, with only the ‘steady pace’ muscles being fed. And you won’t get any faster. My training programme consisted of four gym sessions a week, two sprint sessions and one longer run on a Sunday, which was generally (and rather terrifyingly, considering there was a marathon on the horizon) between five and 10K. It was by no means an easy ride, though. I did chin-ups and pull-ups. I dragged weighted sleds, battered monster-truck tires with sledgehammers, lifted weights, jumped repeatedly on and off boxes, skipped, dangled from Olympic rings and contorted myself into positions I didn’t think it possible to achieve. 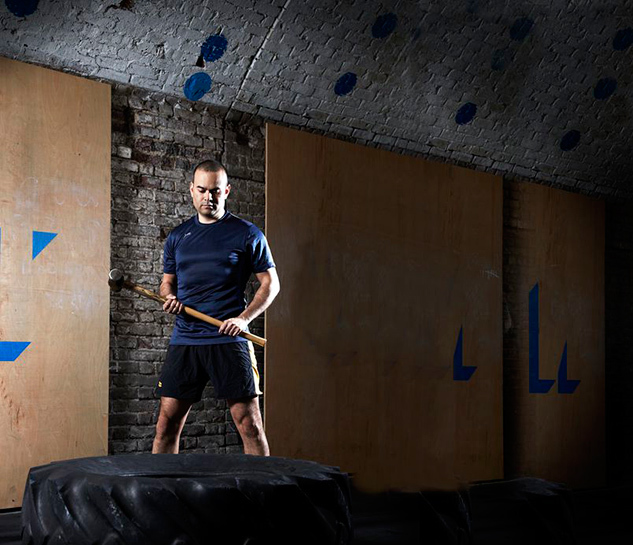 At the end of each CrossFit session I’d feel utterly exhausted, but every day I’d wake up feeling lighter, stronger, more energetic and – most importantly – quicker. And my improved running times confirmed my impressions and my sense of general wellbeing: my first 100m rep took 20 seconds – my final one was five seconds faster. My 200m times went from 39 seconds to 31. I knocked out kilometer reps in 3:35 instead of 4:10 and my 10K time trials came down from 46 minutes to 43. If CFE wisdom was to be believed, I’d done enough: I was ready to race. Standing on the start line in Berlin I felt something I hadn’t felt for years at a marathon: nerves. When you’re not in shape, nothing matters. But when you know something special could be about to happen, the butterflies emerge from their cocoons and start hurtling frantically around your stomach. In just 16 weeks I had lost four percent body fat, put on five kilograms of lean muscle, become more flexible and more powerful, and I was running with better form. However, the real test was yet to come. Without the big miles in my legs, would I be faster over the punishing marathon distance? Berlin’s flat, wide boulevards were perfect for my purposes and, swept along by the crowds and the buzz, the first half of the race felt so easy I had to keep checking my watch to make sure I wasn’t running too slowly. Mile 15 was the first big test – this is where I normally start to tighten up and hunch over. I cruised past the mile marker still bolt upright, still landing on my forefeet and still feeling good. Miles 18 and 20 came and went without my hitting the wall and, while I was knocked down not once but twice in the last five miles (stay on the pavement, spectators), I still crossed the finish line in 3:46. This wasn’t just a new PB, but a new PB by 15 minutes, which, even over 26.2 miles is significant. Later on, I crunched some numbers. My usual mileage count in marathon training is somewhere between 550 and 630, and I’ll train an average of 12 hours per week. For the Berlin Marathon, I spent roughly six hours a week training and my mileage total was only 176 – around 30 percent of my usual. And my longest run? Thirteen miles, once. So does this mean that everyone should abandon their long, slow runs and head for the gym? Well, there are no absolutes in running, but what I can say without hesitation is that the positives to come out of my experiment are manifold. The structure and type of exercise suited a slightly crocked runner like me. Rather than wear me out over the course of the 16 weeks, it made me stronger and more energetic. It not only led to a huge, confidence-boosting PB, but also gave me a body that is now much more fit for purpose with regard to the rigors of endurance training. On the flip side, there’ll be plenty of runners reading this who’ve been doing high-mileage training for years without a problem, and that’s just fine – don’t fix what isn’t broken. What’s more, I have to admit that while the change of focus was initially exhilarating and I loved getting my teeth (or, rather, quads) into something a bit different, I did find myself missing my running. It felt like putting on a much-loved old pair of slippers when I first went back to a couple of medium-length, medium-paced trots and had the time and space to relax, let my thoughts drift and feel the wind on my face. 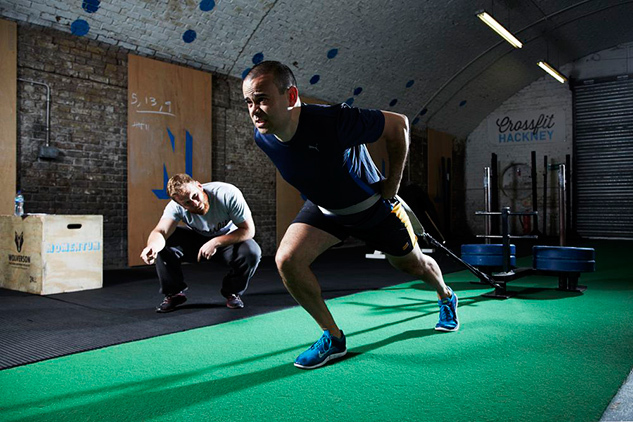 If you’re struggling with chronic injuries, are desperately short of training time, psychologically drained from accumulated marathon mileage or simply hell-bent on PB glory, I recommend making CrossFit Endurance part of your schedule. Elements of it are certainly going to stay part of my training, and not just for the obvious physical reasons. Along with a stronger body and a new PB, I got another huge pay-off from my CrossFit experiment: I was reminded of the real reason I got hooked on our sport in the first place – the pure love of running.